There are few things as satisfying to a beekeeper as the reassuring but furious activity outside a hive on a hot summer day. As the colony establishes itself, each day brings a new, heightened level of excitement. Inside the hive some very important changes are taking place, as the brood nest increases. None of this happens in a vacuum. External factors have a huge impact on the activity within the hive and on its eventual survival. One of the more important of these is the “honey flow”. What Is The Honey Flow? 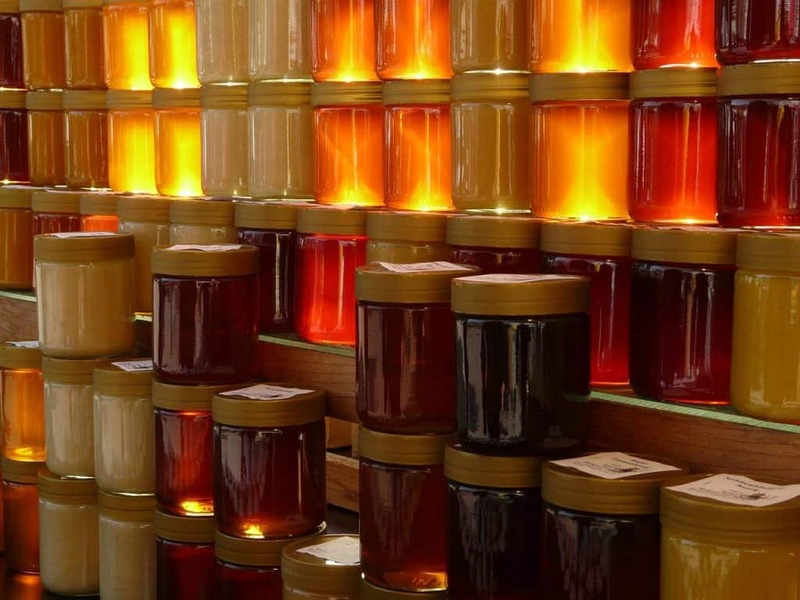 In simple terms, the honey flow is a sweet spot in time, if you’ll excuse the pun. It is the time when bees have ready access to abundant resources, allowing them to dramatically accelerate the creation of honey within the hive. So, the honey flow is less about honey actually flowing and more about bees having the opportunity to collect nectar to support them creating their honey. The honey flow occurs when one or more abundant sources of nectar are available, along with suitable weather, allowing bees to forage for that nectar. When Does The Honey Flow Occur? Suitable flying weather is clearly related to the time of year and, indeed, the summer is most supportive of the honey flow. But it is not always summer. Spring can be an excellent time for a honey flow too as many flowers bloom. There are many variables affecting when the honey flow occurs. The two basic requirements are access to nectar and suitable weather. There are various reasons why the weather might not be accommodating, beyond merely the temperature. For example, spring often brings windy conditions not conducive to the honey flow. So, the weather element of the honey flow is variable. The other factor – ready access to nectar – can be a little more predictable, based on the types of flowers in the local environment and their flowering schedules. This is one aspect that need not be left purely to nature and the beekeeper has the potential to influence this significantly, with a little planning. When should I expect a heavy flow of honey? Beekeepers will see an ebb and flow through the warmer months and there may be multiple times where bees are able to create honey in abundance. Of course, nature is complex and there are complicated interactions between weather patterns and the blooming of flowers. In general, though, a seasoned beekeeper will be able to tell, with reasonable accuracy, when the honey flow might occur in their location. Since the honey flow can be triggered by the blooming of flowers within miles of the hive, it is not as simple as checking local flowers to determine whether the honey flow has arrived. The only precise way to be aware of the honey flow is to check the behavior of your bees. The most obvious sign is the level of activity and the number of bees out foraging. Bees will come back to the hive fully loaded with nectar, while other bees are leaving to gather still more. The resultant image is one that is heartwarming to the beekeeper – hundreds of bees flowing in and out of the hive. It truly is a sight to behold. Associated with all this activity will be a rapid increase in the amount of honey stored. While the prudent beekeeper will avoid disturbing bees too much, it is important to be aware of the potential for swarming. 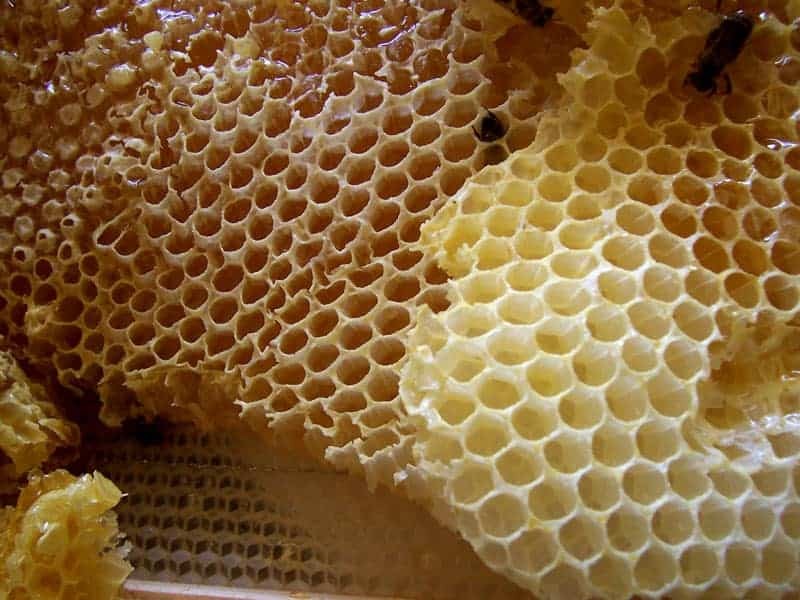 During the honey flow, it’s possible for a single hive to gain 5 lbs. or more of honey – in a single day! In short, if bees can make honey through access to nectar and accommodating weather – they will take it! The honey flow isn’t just a time for beekeepers to smile. It is also a time to be very observant. The honey flow represents a rapid increase in the space bees need in the hive. At a rate of several pounds of new honey per day, a hive with limited space can quickly lead to a colony with thoughts of swarming. If the colony swarms, it will essentially split in two, with one half leaving the colony for a new home. An alert beekeeper is aware at all times of the space available in the hive. 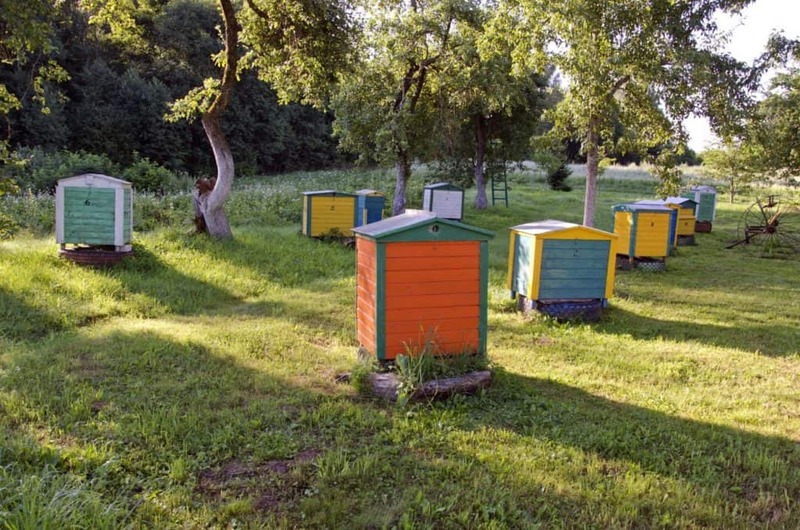 Expanding the hive by adding boxes is a key decision the beekeeper will make, offering bees more space for the extra honey and thus reducing the chances of swarming. Aside from a visual check, the weight of the hive will be an important indicator. An increasing number of beekeepers weigh their hives using monitors and the honey flow is associated with a dramatic increase in weight. In a more proactive sense, beekeepers can plant flowers intentionally chosen to bloom in a staggered manner throughout the seasons. Doing this doesn’t just have the potential to bring weeks of color to your garden, but makes for an extended honey flow, as bees move from one type of flower to another for their nectar fix! Done well, the beekeeper – and bees – can enjoy and extended and beautiful series of honey flows.